Although numerous League1 players had strong seasons at their respective schools, whether in NCAA DI, DII or NAIA competition, here is a short-list of men's players that achieved recognition in NCAA DI all-region teams, or more. Leading the pack were Sigma's Kwame Awuah (University of Connecticut) and Chris Nanco (Syracuse University) - both are invited to show their abilities in front of scouts from all 22 MLS clubs at the MLS Player Combine in Los Angeles, CA from January 7-12. Further, all players in the Combine are eligible for the 2017 MLS SuperDraft, which takes place in L.A. on January 13. Could Sigma FC have another player or two follow in the footsteps of graduates Cyle Larin (2015) and Richmond Laryea (2016), both of whom were drafted to Orlando City SC in the last two SuperDrafts? A team co-captain, Awuah alternated between fullback and midfield in his time at UCONN and was also named to 2016 NSCAA NCAA Division I Men's All-East Region Third Team, as well as the American Athletic Conference First Team All-Conference. His teammate at UCONN, Munir Saleh, was named to the American Athletic Conference Rookie team; Saleh plays for Vaughan Azzurri in League1. 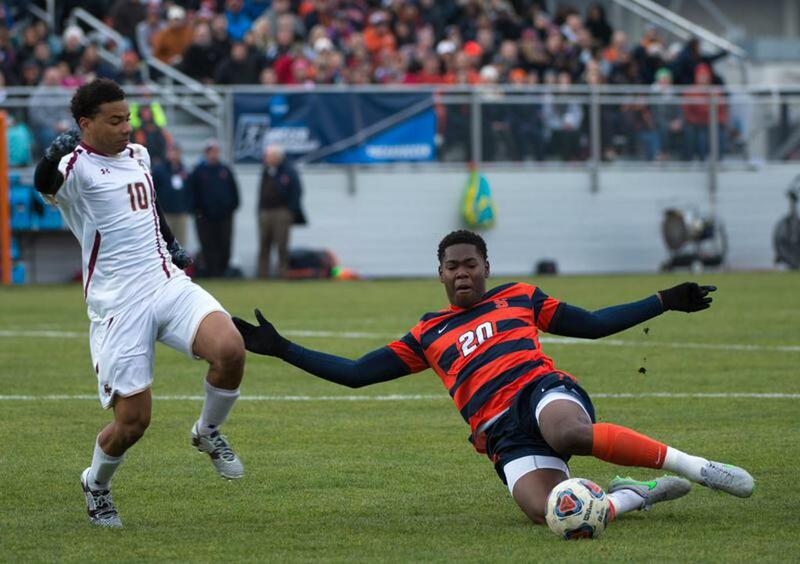 Forward Chris Nanco wrapped up his final year at Syracuse by winning the Orangeman's Golden Boot (7 goals), and was named to the 2016 NSCAA NCAA Division I Men's All-South Region Third Team. Nanco was also named to the All-ACC Conference First Team. 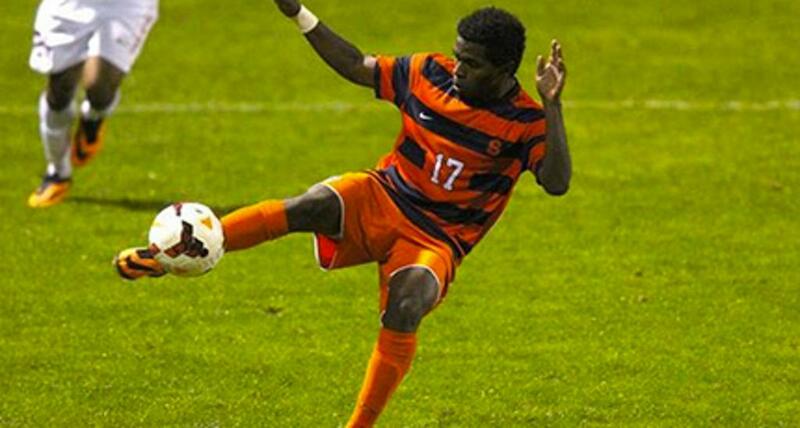 Syracuse went to NCAA Men's College Cup Tournament third round, with Nanco opening the scoring in that match. Nanco finished the season ranked 13th nationally for game-winning goals with five to his name, and led the Orange for points with 15 (7g, 1a). Teammates in League1 with Vaughan Azzurri, Nyal Higgins and Austin Ricci also teamed up at Oakland University and were named to the 2016 NSCAA NCAA Division I Men's All-Great Lakes Region Third Team. Defender Higgins scored two goals over the 2016 campaign and was also named to the Horizon League Conference All Freshman Team. A forward in his junior year, Ricci placed ninth in his conference for points and eighth for points per game. He was also fifth for assists and fifth for assists per game, scoring four goals, registering five assists, and claiming 13 points in total. Ricci scored the game-winning goal in the Horizon League Conference quarter finals against Green Bay, while his Vaughan teammate Liam McQueenie recorded a clean sheet. Ricci would also go on to score in the Conference semi-finals but the goal wouldn't be enough to topple Wright State. With a League1 Ontario 2014 title and Inter-Provincial Cup to his name after playing for Toronto FC Academy, midfielder Dylan Sacramento moved on to Florida Gulf Coast University, where he was named to the 2016 NSCAA NCAA Division I Men's All-Southeast Region Third Team. Florida Gulf Coast lost in the Atlantic Sun conference final to Jacksonville, and went out in the NCAA College Cup Second Round to North Carolina. Several players also gained recognition for their ability to balance the rigours of academia and athletics, with Daniel Cramarossa (Buffalo University/ Vaughan Azzurri); Braden Culver (Buffalo University/ Oakville Blue Devils); Joseph Kuta (Buffalo University/ Sigma FC) and Ryan Pereira (Buffalo University/ FC London) - all named to the Mid-American Conference Academic Team. 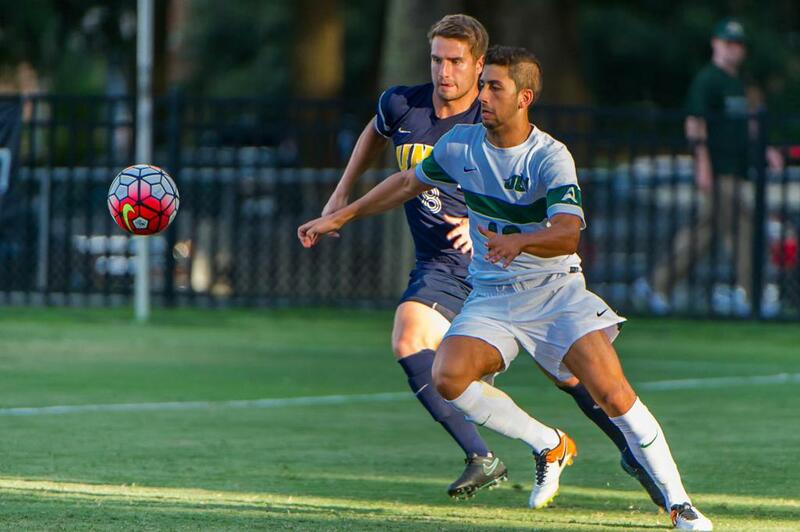 A sophomore at Jacksonville University, Woodbridge Strikers' midfielder Ignazio Muccilli was named to the 2016 ASUN Conference Men's Soccer All-Academic Team. 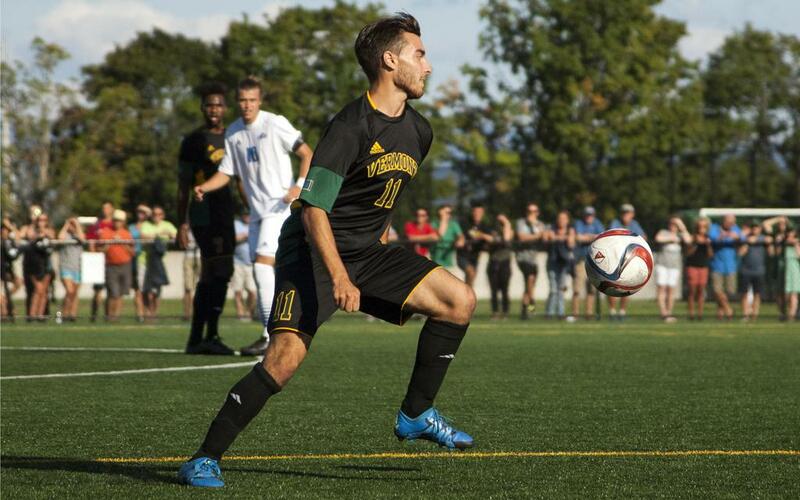 A forward in his senior year at the University of Vermont, Durham United FA's Stefan Lamanna went to the NCAA Men's College Cup Second Round - ultimately losing to Clemson College. Lamanna was fourth overall in his team for attacking points (11), with five goals total including one game-winner. 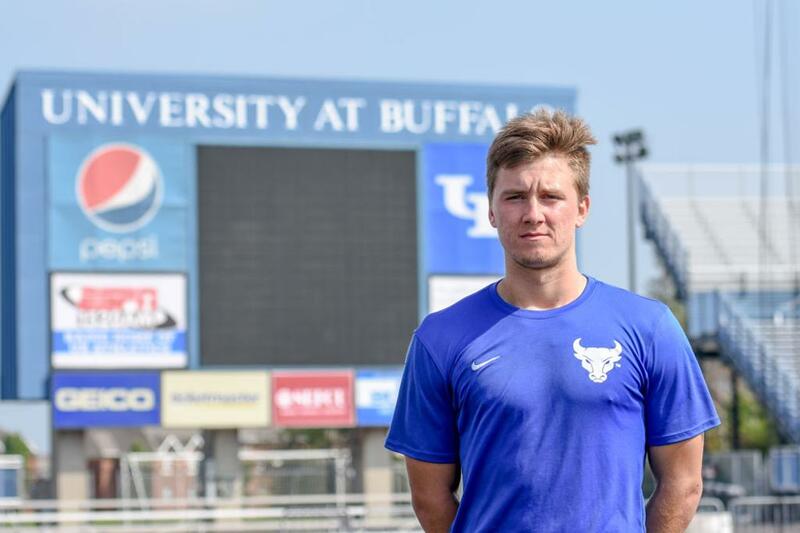 Sigma keeper Joseph Kuta had the third best GAA (0.86), placed first for saves (3.68, 60 saves total over 19 games), and claimed the most clean sheets (10 from 19 matches) iin the MAC (Mid-American Conference) for Buffalo University. Buffalo finished third in the MAC. Vaughan Azzurri defender Kamal Miller started every match for Syracuse University and was selected ACC Player Of The Week on Nov 1. Syracuse went out to the North Carolina Tar Heels in the College Cup, and ended the season ranked 11th in country. 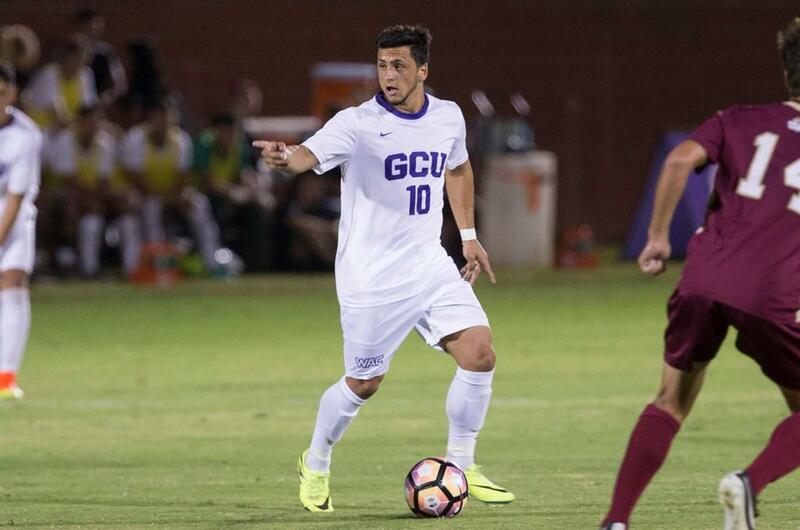 Sigma's Alex Halis had a strong season for Grand Canyon University, playing in all 19 matches, starting 18. He led the team with six assists, scored three goals, and finished the season on 12 points - second highest in the team. Halis will also be eligible to enter the 2017 MLS SuperDraft.